Are YOU ready to up your song leading game?! 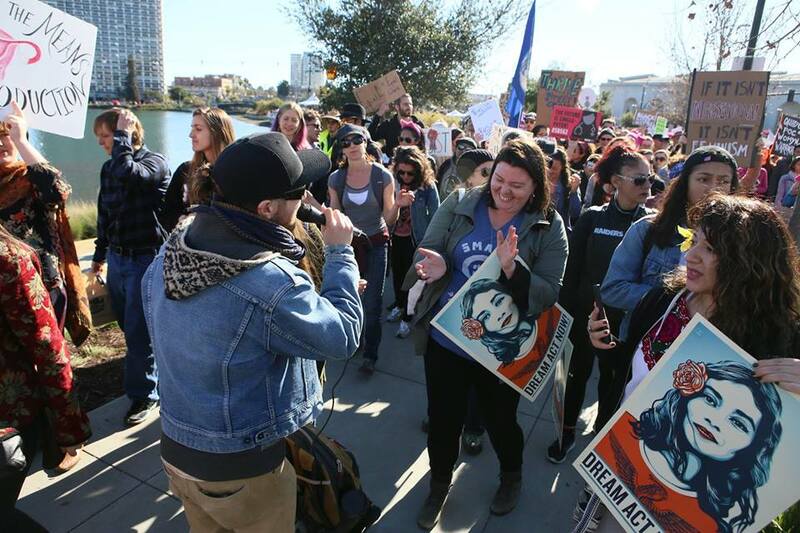 Are YOU interested in being deployed as a song leader at progressive actions and movements for justice across the Bay Area? Are YOU stoked to learn some uplifting movement songs? If HELL YEAH to any of these, then you best come down the Song Leader Activation & Training! The Thrive Street Choir has been building community and bringing music to actions for two years now. We have joined the broader ecosystem of protest music organizations and progressive and frontline movements are reaching out to us all the time - looking for song leaders. We are growing our collective of song leaders to meet the demands of our local movements - our movement is asking for SKILLED AND JOYFUL SONGLEADERS to hold space in the streets. Have you noticed how important music is in supporting our resistance work? Have you, like so many of us, gravitated towards the music playing when at the Women's March, the People's Climate March? Have you ever wanted to start a chant to get the crowd going, but could not think of the perfect one, or felt intimidated to start it yourself? - discussion of how to be an effective song leader in our broader movement ecology, with sensitivity to aspects of cultural appropriation. Let's skill up together so that we can bring powerful music to the revolution!